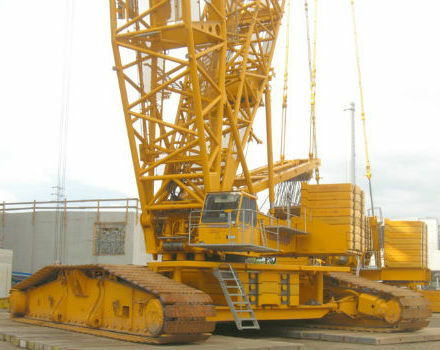 Crawler cranes are used for cargo handling, construction and installation works. Due to crawler mechanism, these cranes using does not require special preparation of working platform, still such cranes having good maneuverability. 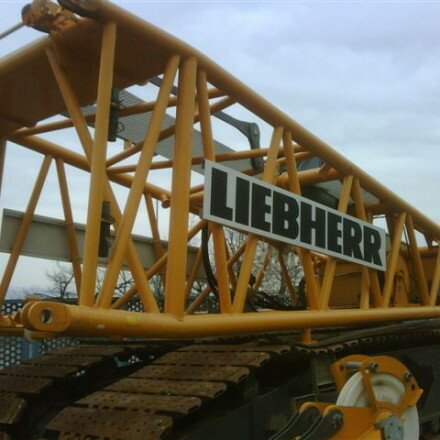 Crawler cranes, with loading capacity from 100 t to 750 t, are represented for rent in EUROPE-LLOYD company by Liebherr and Ulyanovsk Mechanical Plant № 2. 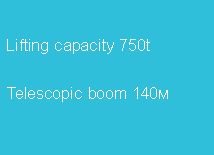 Crane LR 1750 with loading capacity of up to 750 t is very compact and has a low empty weight, which can significantly reduce the cost of crane transportation to the jobsite. Crawler craneМКГС 100.1, loading capacity of 100 t, is time proven, reliable technology, very well adapted for use in the Russian climate: for instance, it has increased freezing resistance. Special transport equipment makes it easy to transport this crane to the operating site by both road and rail modes of transport. For more information about the technical capabilities of each crawler crane, you can find below, moving the cursor on the model you are interested..